Have you or a loved elder (over 65) been defrauded out of their home, estate and/or life-savings through undue influence, coercion or duress? Were you or an elderly person sold annuities or other financial products that were misrepresented or inappropriate? Has the deed to an elder’s real estate or the title to a bank account been shifted to a caretaker, neighbor, friend or family member without the full understanding or authorization of the elder? Have the real beneficiaries or loved family members of an elder been excluded from an elder’s will, trust or estate? Is someone misusing a Power of Attorney granted by an elder, possibly to the elder’s detriment or for the agent’s own financial gain? Have you been unfairly accused of taking advantage of an elder’s finances, estate planning or otherwise engaging in financial abuse? Our elderly citizens now enjoy special rights under California state law. 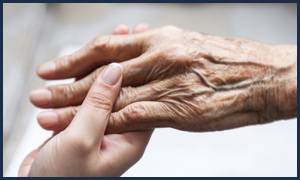 In addition to property and monetary damages which may be recovered, compensation for an elder’s emotional suffering may be available as well as the attorney fees and costs incurred in obtaining relief. With over thirty years of litigation and trial practice, The Law Offices of Jeffrey J. Allen is experienced in this relatively new area of California law. We have obtained significant settlements and court judgments for local elders, their estates and their families in this complex area of the law.